Are you planning on getting your tween or teenager a cellphone or (dare I say it) a smartphone? Let’s face it, the thought of getting a phone for kids absolutely terrifies us. They seem to be growing up so fast but we know there are also a lot of scary things out there that they just aren’t prepared for just yet. Unfortunately, with our kids getting more active, it also means we want to be in touch with them too, making a cellphone that they can use to email us, receive texts, and help them with school seems necessary in today tech heavy world. To help prepare them (and us), it is important that we make sure they know cellphone safety to keep them safe from bullies and possibly themselves! One of the biggest mistakes parents make when buying their child is phone is assuming that they can give a lecture and hope for the best. At the end of the day, you have full control over that phone and your child will only learn how to be responsible with a phone with your help. Set rules before the phone is even purchased, and have a written agreement your child signs, with agreed upon consequences if they don’t use it as agreed. As well, sit down with your child and talk about their cellphone usage, at first daily and then weekly. Show them how much time they are actually spending on their phone and that you are monitoring their usage. Did you know that during a recent Pew Study, it was found that the average teenager between the ages of 14- 17 send 100 texts a day? That’s right, 100 texts a day, or 3,000 text in one month. While many of us have unlimited texts anymore, that doesn’t mean we want our kids texting constantly throughout the day. As part of your family rules, you may want to set how many texts can be sent a day with your teenager. Many cellphone carriers also have programs that will set how many texts can be sent from a phone each day, making monitoring easier for parents and teenagers. With all the studies out there about wireless energy and the debate over how it might cause cancer, we want to obviously keep our kids safe. To help keep your kids safe and protected from this sort of energy in case there is any danger, we highly recommend going with a Pong Case. Their patented intelligent antenna technology has been tested in FCC certified labs and is the only case on the market proven to reduce exposure to wireless energy while helping increase your phone’s signal. On top of that, it reduces wireless energy being absorbed by your by body by up to 82% below the industry standard. They are available for just about every phone on the market. They recently even came out with brand new cases for the iPhone 6 and iPhone 6 Plus, keeping your kids phone safe from wireless energy and the shock of falls! To learn more, connect with Pong on Facebook and Twitter. Teenagers love making connections, and they love sharing information on social media through their phones. As a general rule of thumb, teach kids to only send text or pictures they would be comfortable sharing with their parents, grandparents, or their entire school. 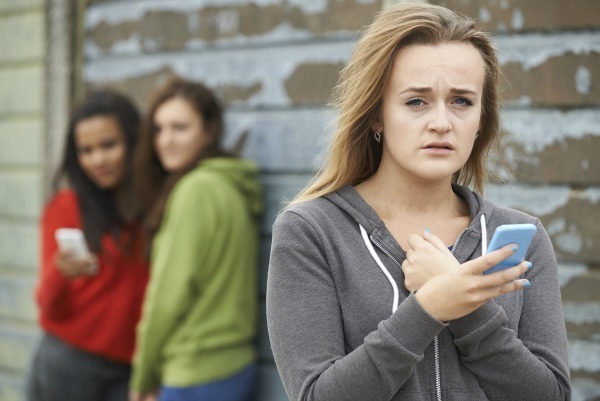 All it takes is information being shared with the wrong person or a bad breakup with a girlfriend or boyfriend for a picture or text to be misused, possibly embarrassing or hurting your teenager. Teach kids that once information is out there, it is very hard for it to go away. Did you know that texting while driving is now the leading cause of death for teenagers, according to the CDC? Over 2,700 teenagers die each year from texting while driving, while 282,000 are lucky enough to only end up in the emergency room from injuries related to texting while driving. Even more frightening, 4 out of 10 teenagers admit to texting while driving. Make sure to teach them the importance of not texting and driving. One of the hardest things for teenagers to deal with today is bullying. 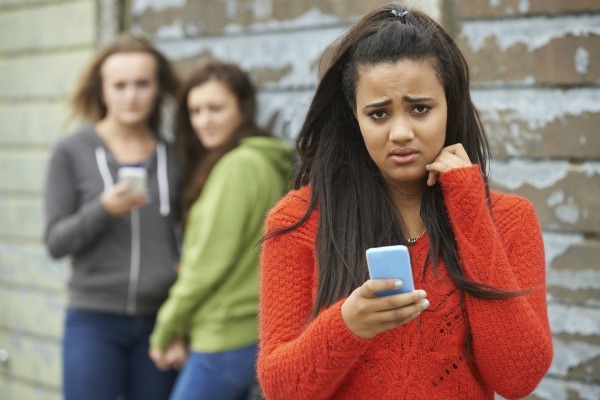 Today, girls and boys alike are moving to text messages, pictures, and social media to bully other children. Teach your child how to deal with bullies and to bring these messages to you immediately. Make sure to document what is occurring so that it can be discussed with authorities and the school. Always take your child’s age and ability to handle responsibility when picking out a cellphone. Some children can handle smartphones, while others should only have very basic safety phones that can be used to call home and emergencies. We highly recommend for all tweens and teenagers picking a phone that does have parental controls. If you are unhappy with the parental controls available, often there are apps can be purchased that give you greater control over your child’s phone and provide information about their usage. For teenagers who want to always stay connected, screening calls may not seem like a big deal. 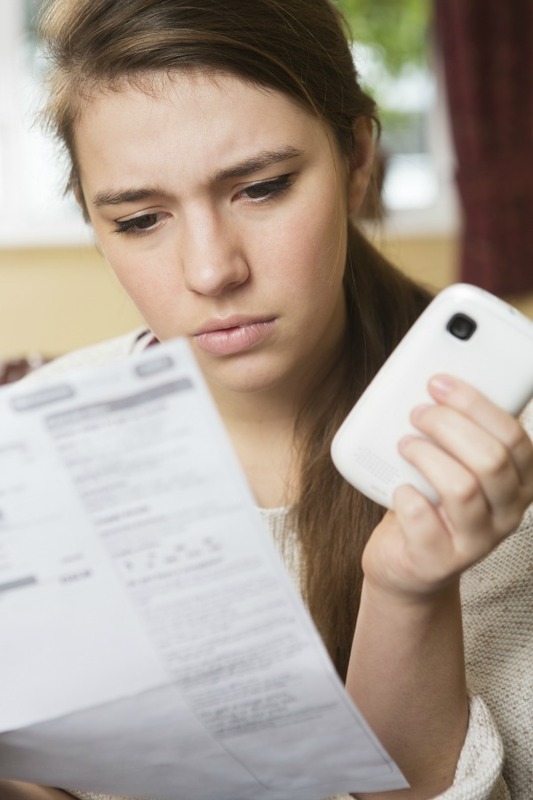 Teach your teenager to not answer calls from numbers they do not recognize or from withheld numbers. They can always find out through voicemail if it is someone they want to speak to. Depending on the age of your child, consider putting restrictions on what apps can be downloaded by your child, as well as making sure they can’t purchase apps on their own. This can be controlled through some parental control settings. If you allow your child to purchase apps, make sure the card on the phone is a gift card or pre-paid credit card to make sure they do not overspend. As adults, this seems like common sense to us, but not most tweens and teenagers. Why text a number to all of your friends when you can just post it on Facebook? An innocent way to get out messages can very quickly lead to not only their friends getting their number, but all of their friends, family, and many strangers. Teach your child the importance of keeping their number private and only sharing it with friends – not through text, but actually telling their friends their number in person. While they may think you are being overprotective, it’s better to be safe than sorry! Yes, this isn’t a safety concern, unless you consider the safety of your child’s phone in case is confiscated by the school. While it may seem strange, consider your schools rules when setting rules for your child’s phone. Every school system and school itself has different rules on what is and isn’t allowed with phones on school grounds. Some don’t even allow phones to be taken out of a backpack or be seen at all once you enter the school itself. Others allow phones to be used with the variety of educational apps that are available today. Talk to the school first and make sure your child knows the rules. Disclosure: Budget Earth did not receive monetary compensation or product for this article. 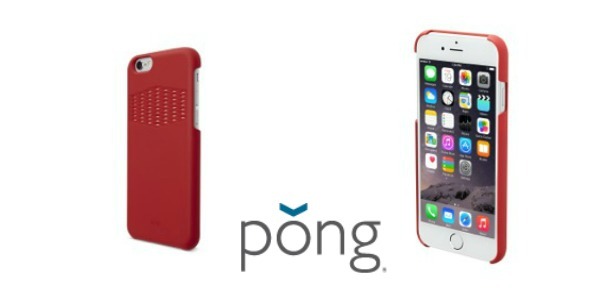 I did, however, receive a Pong case earlier this year and wanted to share some information with my readers. All opinions on this product are my own and may differ from our readers’ opinions. 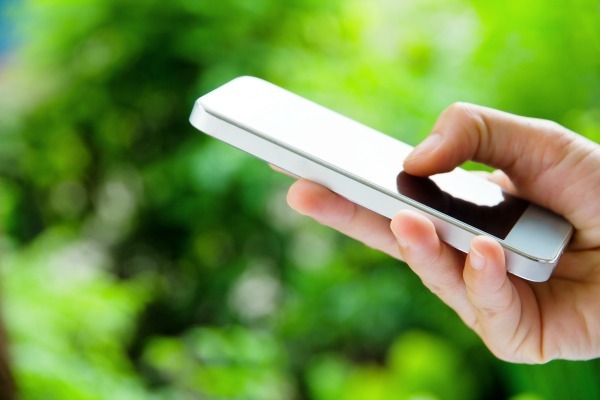 These are some great tips for cellphone safety. I know this is the age of technology but nothing drives me more insane that kids constantly on phones…and parents too! When we are out as a family, all phones are OFF the table and no disruption. Great tips to review with your teen. Of corse rules can be broken so it’s important to keep on top of it. It’s a dangerous World we live in! Great read, thank you. I fear giving my girls cell phones when they get to a certain age. So many terrible stories. This is information I will definitely convey to my son. My granddaughters are nearing this age. I myself worry about my grandchildren spending so much time on their phones just in case there might be danger. I’m glad there is something to help keep our kids safe and protected from any sort of energy. I didn’t know about the Pong Case until I read this review. I will diffidently get one for my grandchildren. Great article and very informative. I can’t believe how many people I see texting and driving and it is young and old alike. I found this article for useful. You don’t think about the danger from energy that it can cause. The Pong Case would be a great thing for my grandchildren. With all this New Technology that’s out there and all these New iPhone’s, I am extremely concerned of how much Children & Teens these days use their Electronics ALL the time. With the Newest Safety of the “Pong Case” I feel a whole lot better. THESE ARE SUCH GREAT TIPS!!! 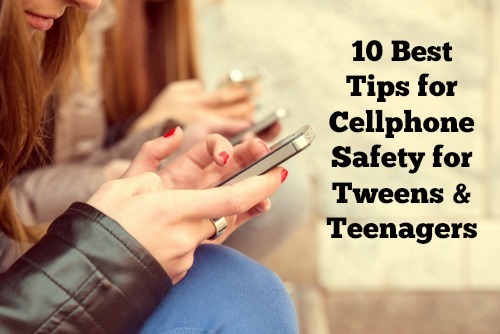 I HAVE A TWEEN AND IM ALWAYS WORRIED ABOUT CELL PHONE SAFETY!! Thank you for sharing all of this information with us. Parents need to know this to protect their kids. When you’re just on your phone playing games, make sure to put it on airplane mode this way you won’t get blasted with so many emf’s. Then when you are done with the game turn the settings back on if you want to upload your score. Excellent article. I’m sharing this one! This was a very good article. I will share it with my 13 year old granddaughter. I think the two most important things are if you put it out in cyberspace, it is out there for anyone to see and don’t text while driving. This information was very needed here and everywhere that have children. It is so important to keep our children safe from whatever they are up against…whether it be a bully or a pervert trying to hurt our kids. I think these tips should be put on Facebook, and EVERYWHERE! I wish teens, and actually people in general understood the dangers of cell phones. I mean, if you are careful and responsible, it is fine. Unfortunately, we are losing too many people to texting while driving. I really hope people read these and take them to heart!!! Thank you very much!